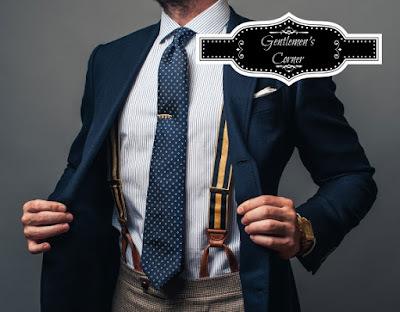 Suspenders - While there where seen in the past often instead of Belts during the nineteenth and early twentieth century they where considered as "Underwear" and it was improper for suspenders to be viable at all. 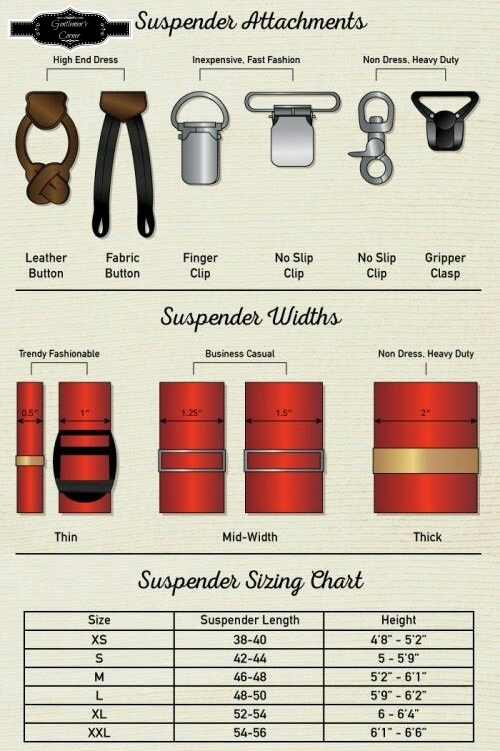 Well standards has moved on so that you can show your suspenders without fear of being "improper". But enough of History. Suspenders could be, beside a alternative to a Belt, also a good Fashion Statement like a Pocket Square, a Watch or a Tie Bar. A good tailored Suit with some nice Suspenders could give your Suit the little extra. And from looking Professional to Trendsetter - all is possible. Unlike Pocket Squares and Ties Suspenders could match the Tie but better is to wear a different matching color or Pattern. 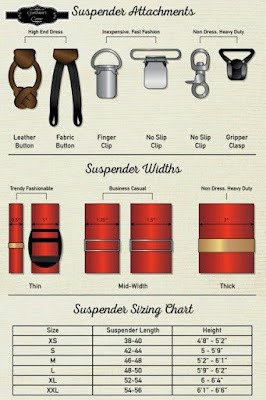 Some more Information you will find in the following Picture like the types of the Suspender Attachments or a Suspenders Sizing Chart.